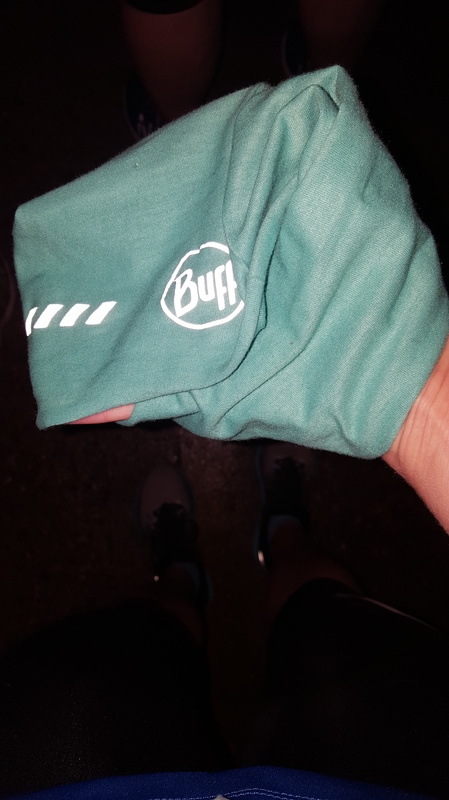 I have so many running friends who are BUFF® fanatics. They love their BUFF®. But being a Southerner, it’s always so warm for us. 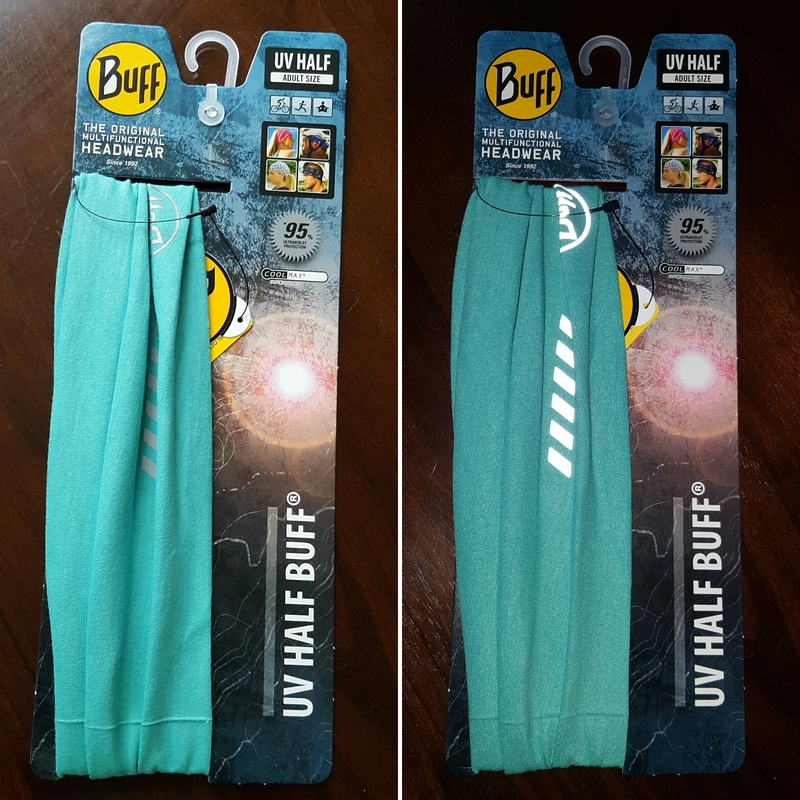 I wasn’t sure I would use a full BUFF® very much. 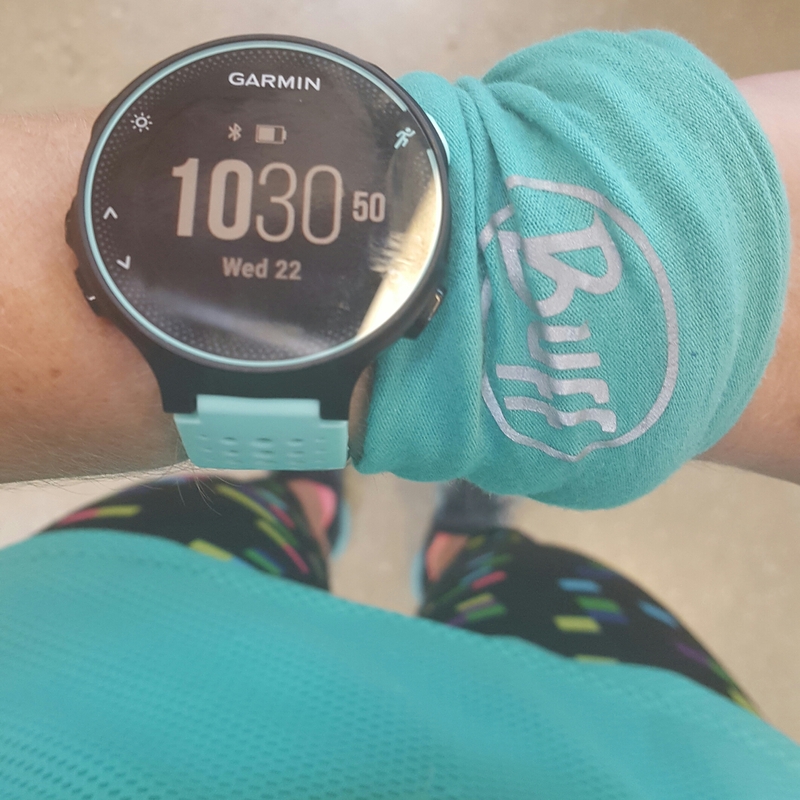 The opportunity popped up for us to try the UV Reflective Half BUFF® recently and I wanted to check out what all the fuss is about. One of the first things I really liked about this Half BUFF® was that it has reflective print. This is all the rage right now in a lot of active wear and I LOVE it. I love, love that added safety feature. 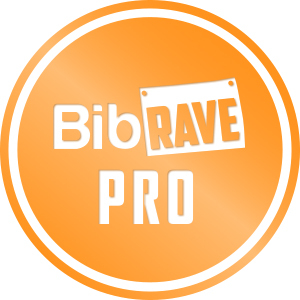 It lights up like a Christmas tree with the BUFF® logo and reflective stripes when you shine a light on it. The half length was perfect for me. I could easily wrap it around my wrist for an nice little cloth to wipe away sweat on my brow and hankie to wipe my nose. The thin, sweat-wicking material was great when I used it as a headband on several runs. It kept the sweat from running in my eyes and was so lightweight I totally forgot I had it on. 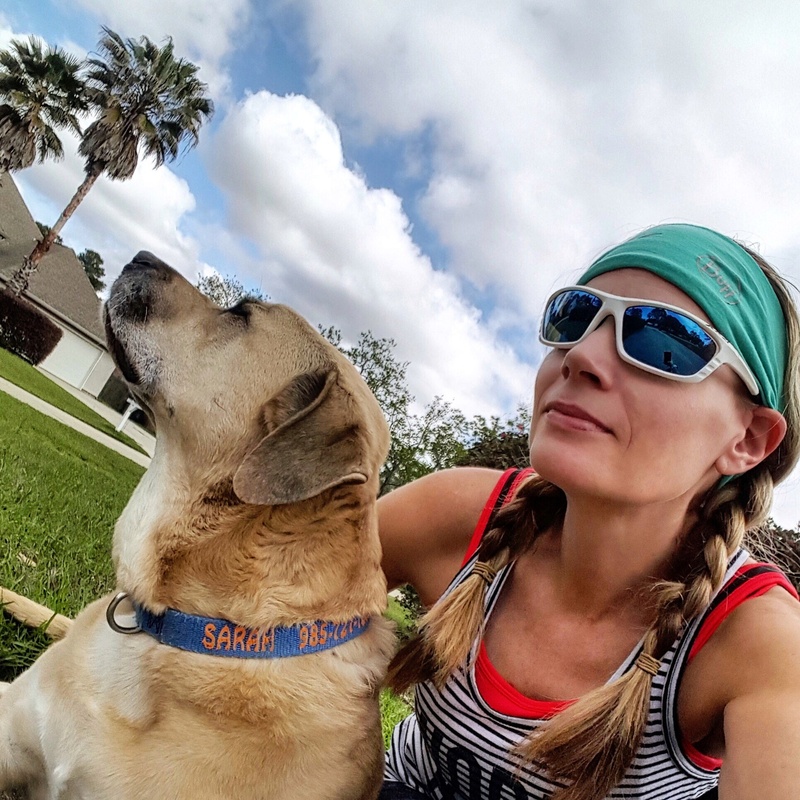 Half the length of original UV BUFF® headwear, the UV Reflective Half BUFF® option offers efficient thermal properties, built-in sun protection, moisture management and reflective strips that are ideal for runners. Able to dry quickly and control odor, this sweat-wicking layer fits easily under a helmet. It’s a versatile, go anywhere piece wearable at least nine different ways. All of the above is totally accurate! I even used it at a recent race to keep my hands warm before the race start. It worked like a charm! The BUFF® is so versatile. I have really enjoyed bringing it on my runs. I swear it’s the MacGyver of running gear. Every runner should have have one.